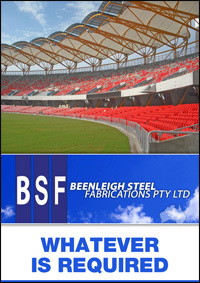 Beenleigh Steel Fabrications (BSF) is a Queensland-based business well regarded for the supply, fabrication and erection of structural steel throughout the state and beyond. For more than 30 years, they have been delivering high quality, award-winning results to a variety of projects in both the public and private sectors. In that time, they have earned an unrivalled reputation as an industry leader. Mark started Beenleigh Steel Fabrications in 1980, along with his business partner Frank Boyes. Both of them came from strong trade backgrounds, and have been in the steel industry all their lives. When they started BSF, the company primarily built steel boats, and then evolved along with the needs of the market. Today, Beenleigh Steel Fabrications primarily works within Queensland, but have also done projects in New South Wales, Victoria, Western Australia, and even Papa New Guinea. “We don’t let geography limit us too much,” Mark says. The company’s head office is located in the Crestmead Industrial Estate, Logan City. Their factory floor area encompasses 2500 square metres and a further 600 square metres of office, amenities and storage area. The company has an additional workshop at Rocklea, with a factory work space of 1400 square metres. Their in-house fabrication facilities include processing, cutting, holding and welding. Since 2011, they have also had an expansive purpose-built service workshop, which includes a spraybooth to service their plant and equipment. As a service provider, BSF specialises in the fabrication of architectural steelwork for architectural finishes. Over the years, they have earned a strong name for their involvement in larger projects – such as Suncorp Stadium and the Brisbane Convention & Exhibition Centre, which require more than 3000 tonnes of structural steelwork. At the same time, Beenleigh Steel has the facilities, flexibility and expertise to manufacturer steelwork for smaller projects as well – all while providing the same high quality and service. BSF is also fiercely committed to their clients, Mark adds. They make it their number one priority to follow through with what they promise, and to never compromise on quality any step of the way. 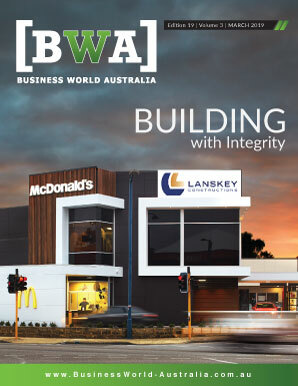 As a result of that commitment, Beenleigh has earned the loyalty of many builders – including large ones like Watpac Construction, who they have worked for over and over throughout the years. Beenleigh Steel Fabrications’ commitment to quality has not just been rewarded by clients – it has also caught the attention of the industry as a whole. At the 2012 ASI Queensland Steel Design Awards, for example, the company was the winner in two separate categories, for Engineering Projects and Large Projects. Both prizes were received for the recently completed Metricon Stadium at Carrara on the Gold Coast. Mark credits the award victories to the company’s philosophy. He reiterates that he and his staff do everything within their power to deliver a high quality result – which is something they definitely achieved with the Metricon Stadium. Mark also credits the award-winning result to the skill and commitment of BSF’s team – from the management personnel all the way down to the people on the workshop floor. He says it’s their collective dedication that makes the company’s high quality possible. 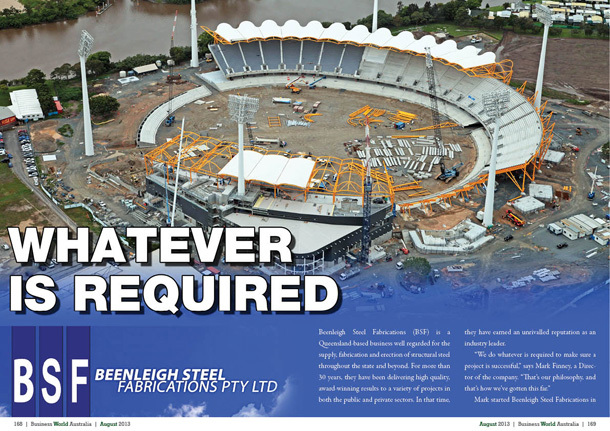 Moving forward, Mark predicts Beenleigh Steel Fabrications will continue to achieve award-worthy results on projects like the Metricon Stadium. He says they will do that by keeping up with technological advances – and by generally evolving their abilities to keep up with the demands of the market. As a good example of that evolution, he cites the service facility they built two years ago – which now houses a fleet of cranes, available for hire throughout Queensland and New South Wales.